Thanks so much to everybody that gave me feedback on Risky Rises! I took some of what I learnt, played around with new ideas and came up with Glacier Gardens for my second map. This is the first playable version of the map, but I’m looking forward to improving it with your feedback! Featuring diverse landing spots on each part of the map, from the Central Glacier Garden, Dragons, Colourful Marketplace, Launch Pad, Campsite, Clocktower, Book Store, with Greenery all around and more! Fast paced movement is encouraged throughout with a highly visible launch pad area, and water fountains throughout to reach higher locations, this has been super fun in gameplay. Multiple playstyles are encouraged with areas offering multiple layers, places to hide and places to seek. Lots of materials and plenty of chests. All under 50,000 memory for the #FortniteBlockParty! I’m running out of emotes for these videos, so if anybody wants to help me create more in-game I’d appreciate it haha. 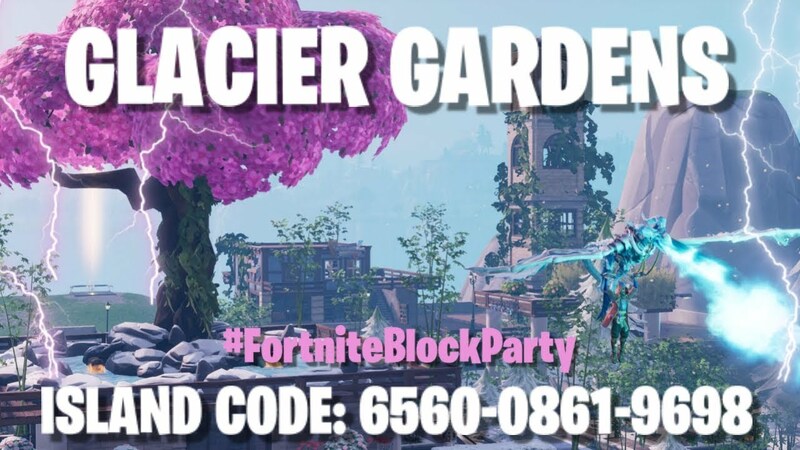 I hope you have fun with Glacier Gardens!